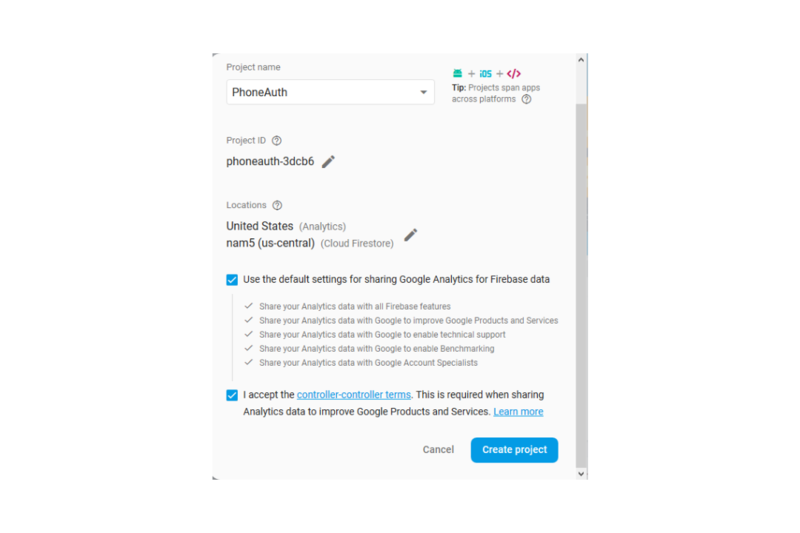 In this blog I'm going to show you how to use Phone Authentication using Firebase in Android. 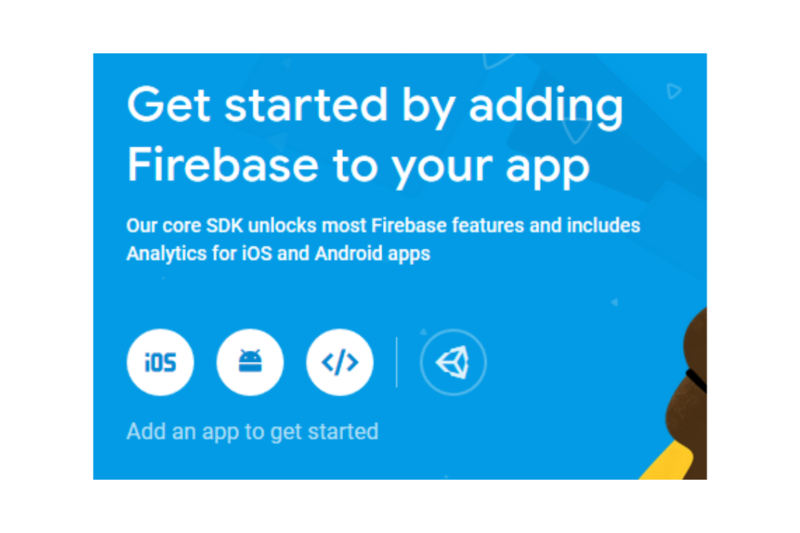 Firebase is a Google's mobile platform which provides backend services like database , storage , authentication etc. 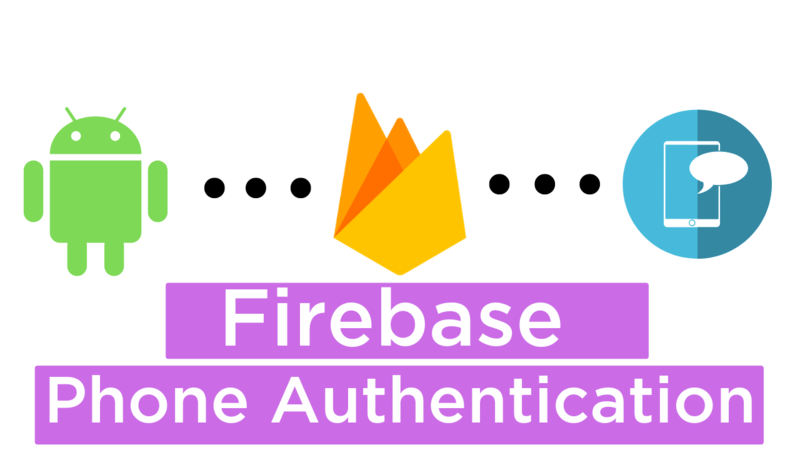 Firebase supports authentication using email , phone number , Google , Twitter and many more. In this blog we will be covering the Phone Authentication only. OtpActivity: In this activity user will enter the otp received on his/her phone for verification. HomeActivity: After user is successfully logged in then this activity will be displayed. Enough of theory , Let's begin the code. Open FirebaseConsole and login to your account. On welcome screen , Click on "Add project" option. After clicking on "Add Project" option following project window will open , in this enter your project name and your country and then click on "CREATE PROJECT" button. 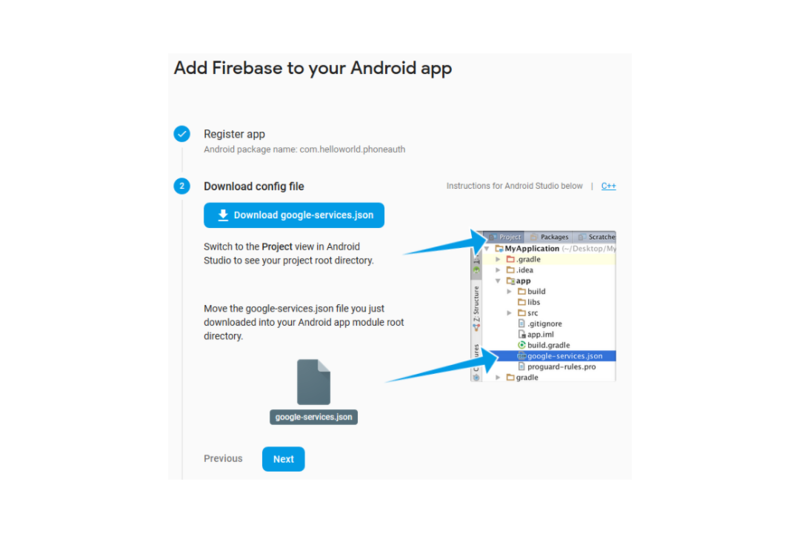 After this your project's dashboard will open from here click on "Add Firebase to your Android project". After clicking on "Android icon" you need to register your app by providing the app package name and SHA-1 signing certificate. To get the app's package name , open AndroidManifest.xml file and on the top there is a package name mentioned. To get the SHA-1 certificate , click on "Gradle" tab on right side on Android studio then click on "app" -> "android" -> double click on "signing report". In monitor pane you will get your SHA-1 certificate. After clicking on "Register App" button you have to download "google-services.json" file and paste it in app module. Now , open Project level build.gradle file and add the following code under dependencies section. Open app level build.gradle file and add the following code under dependencies section. 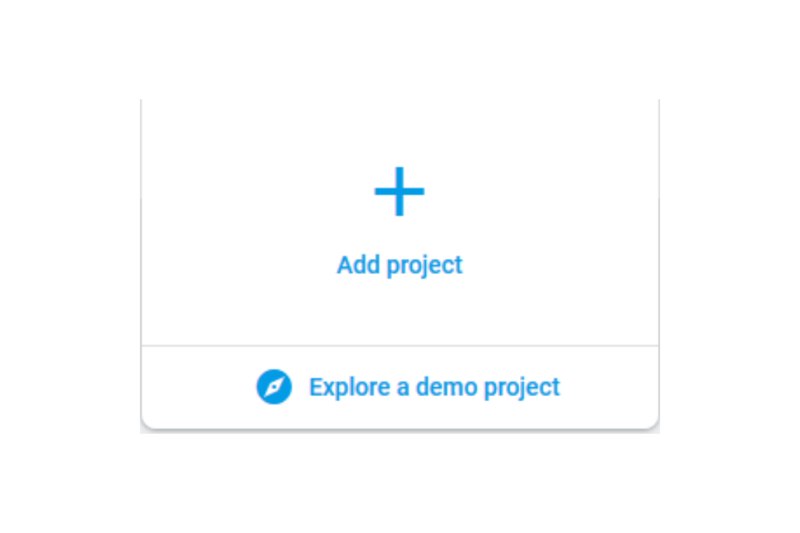 Now , go back to Firebase console and click on "Project Overview" . 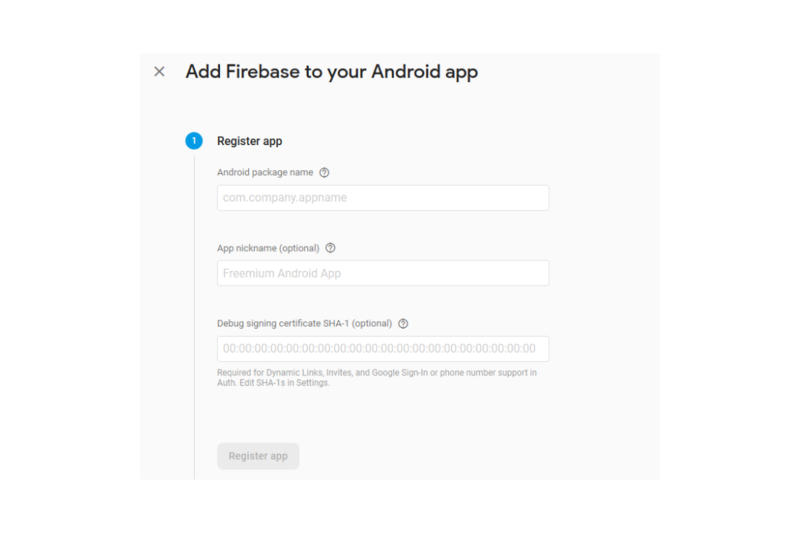 In "Discover Firebase" section click on "Authentication" then on next page click on "Setup Sign in method and enable phone authentication and save it." That's all we are done with the initial setup. Open AndroidManifest.xml file and add the following code , We need Internet permission for sending otp. Open activity_main.xml file and add the following code , This contains one editText for entering phone number , button for sending otp and one progress bar. Open MainActivity.java file and add the following code . We are creating objects of our UI elements and finding the reference to all of the objects using findViewById() method. 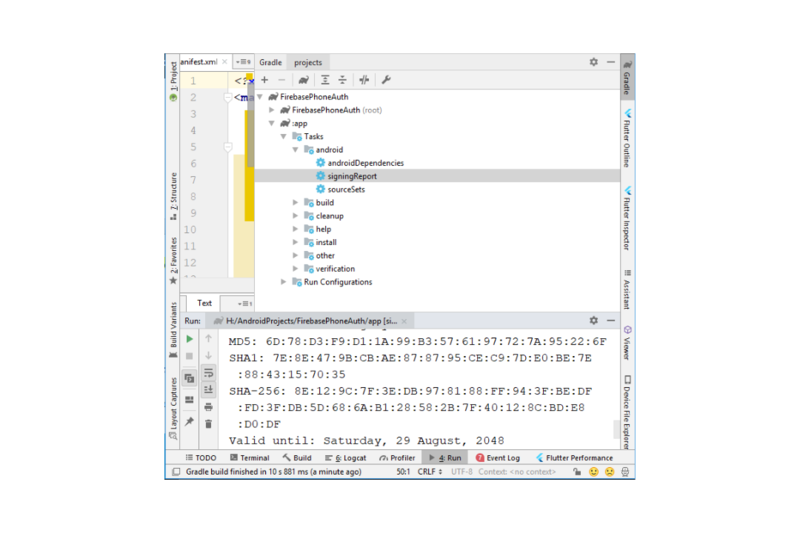 Open MainActivity.java file and add the following code . On Click of button first retreive the text from editText and pass this string to our custom method called "sendVerificationCode()". PhoneAuthProvider is a class which represents the whole mechanism for phone authentication and it also provides some methods and callback functions such as "verifyPhoneNumber()". phoneNumber: User's phone number for which verification has to be start. timeout: Timeout duration of verification code or otp. unit: Unit of timeout , can be in seconds , milliseconds etc. activity or context: Context from where the method is called. OnVerificationStateChangedCallbacks: Instanc of OnVerificationStateChangedCallbacks which contains the callback functions that handle the result of request. onVerificationCompleted: Called when verification is donw without user interaction , ex- when user is verified withot code. onVerificationFailed: Called when some error occured such as failing of sending SMS or Number format exception. onCodeSent: Called when verification code is successfully sent to the phone number. On Click of button we are calling our "sendVerificationCode" function which will be responsible for sending sms to user's phone number , when onCodeSent() is triggered the control will be transferred to OtpActivity where we can verify the SMS. Now , create new empty activity named OtpActivity and add the following code inside this file and for the layout add the xml code in activity_otp.xml file. OtpActivity layout contains one editText for otp , one button for verifying the otp and one progress bar. In OtpActivity.java file we are receiving intent and verificationId from MainActivity , verificationId is required for PhoneAuthCredential object. Open OtpActivity.java file and add the following code , on click of a button we are calling our custom method named "verifyOtp". PhoneAuthCredential is a class which wraps the phone number and other verification information such as verificationId to create a credential and then this credential is passed to another method named "signInWithCredential". signInWithCredential is a function which is used to sign in the user based on the credential it receives , then we can attach the "onCompleteListener" to this method so that based on the result whether it's success of failure we can perform our operations in this case sending an intent to HomeActivity when user is successfully signed in and displaying the toast in case of any errors. 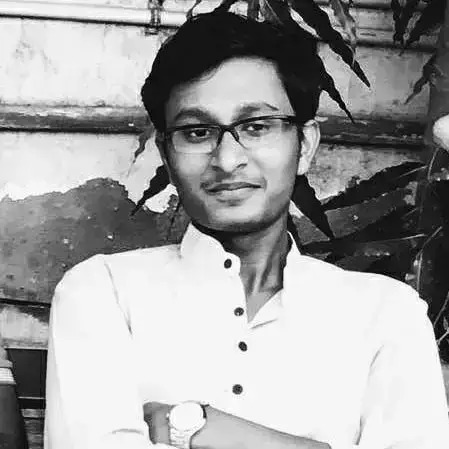 Now , create new empty activity named HomeActivity and add the following code inside this file and for the layout add the xml code in activity_home.xml file . Layout contains only onw Welcome text.